Bangkok, the capital city of Thailand, is predicated as “City of Angels” and “Venice of the East”. This city is notorious with its hot weather, serious traffic jam, and high levels of air pollution. However, beyond all those things, Bangkok is still tourists’ favorite destination. This city is best suited for people who want to experience river and temple trips, shop in Bangkok’s famous shopping centers, taste Bangkok’s cuisine, and experience Bangkok’s nightlife. Even though demonstrations often happen in Bangkok, do not worry about its city’s security. Crime rate that strike foreign travellers in Bangkok is low. 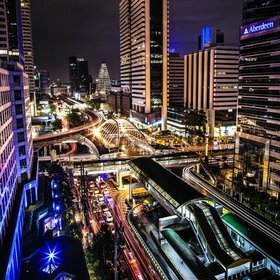 In addition, Bangkok’s government also provides proper public transportation, such as Skytrain (BTS) and Mass Rapid Transit (MRT), which ease travellers to avoid traffic jam during rush hours. During your holiday in Bangkok, make sure that you visit its famous areas, like Siam, Silom, Chinatown, Sukhumvit, Old City, and Riverside. 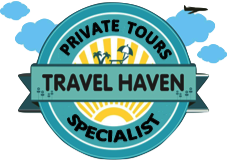 On those areas, you will easily find rows of popular hotels, restaurants, and shopping centers. Complete your Bangkok tour package by visiting prominent temples, such as Wat Arun (The Temple of Dawn), Grand Palace and Wat Phra Kaew, Wat Pho, Wat Benchamabophitr, Wat Mahathat Yuwaratrangsarit, and Wat Saket. You also must shop in Bangkok’s floating market at Klong Damnoen Saduak. Do not forget to let your kids have fun at Madame Tussauds Wax Museum, Siam Ocean World, and Siam Park City. You can visit all those places by choosing Bangkok holiday package that is available from your favorite travel agents’ offerings.